Product prices and availability are accurate as of 2019-04-21 15:08:56 EDT and are subject to change. Any price and availability information displayed on http://www.amazon.com/ at the time of purchase will apply to the purchase of this product. 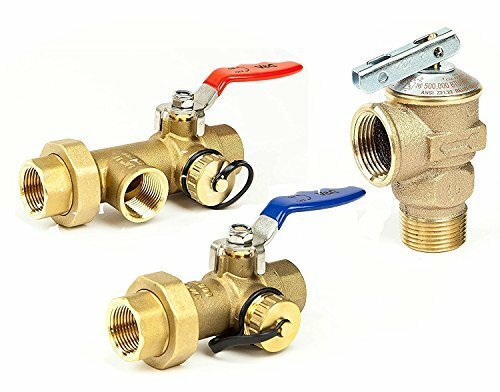 This Kit consists of the following lead-free valves: 1 water pressure Relief Valve, 1 hot water Brass ball Valve, and 1 cold water Brass ball Valve. Their purpose is to make the installation fast and easy. They help control the pressure and temperature of your water system.